At Crabtree Dental in Katy TX, we recommend that our patients see us every six months for a cleaning and checkup. This recommendation is in keeping with American Dental Association guidelines. Most people, though, only visit the dentist about once each year. 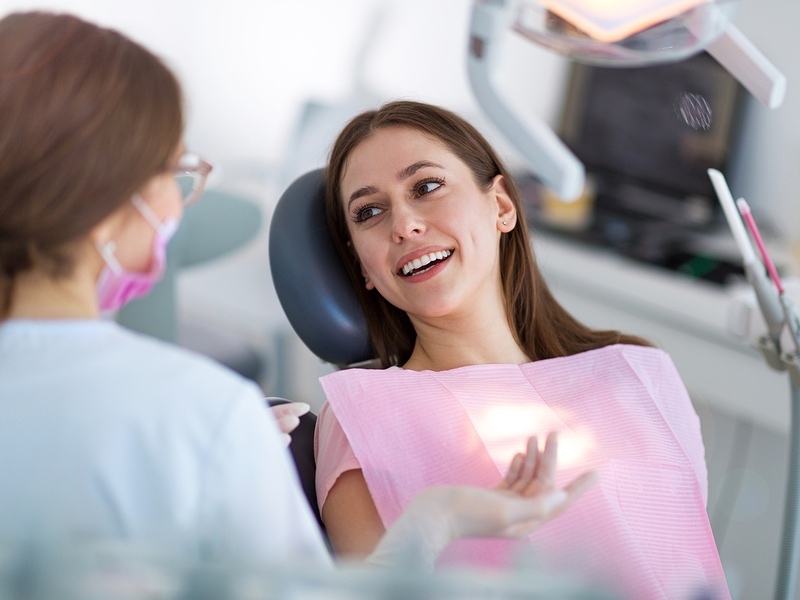 As many as forty percent of Americans see their dentist less often. Some go for five years without seeing their dentist. There are a lot of reasons to visit your dentist, some better than others. We searched around and found six good reasons to see us twice a year. That’s right: cancer detection. Not many people realize the risk of getting cancer in their mouth or throat. Oral cancer is a serious problem. The risk of getting oral cancer is increased significantly for tobacco users, but the risk is there for everyone. Dentists are trained to spot the signs of oral cancer, and regular checkups can mitigate the risk. Oral cancer is very treatable, but you have to catch it early. Frequent visits to Crabtree Dental can help you avoid this problem. Everyone gets cavities. They are a fact of life. The problem comes when they aren’t discovered early enough and the damage requires a significant fix. Cavities are one of the reasons by most people avoid the dentist because they are associated with pain. However, the opposite is true. People who visit the dentist frequently have fewer cavities. Early treatment of cavities can be less invasive, and even cosmetically favorable. Like cavities, gum disease is associated with discomfort. But it doesn’t have to be that way. Visiting your dentist more often means keeping an eye on the health of your gums. Your dentist can help you track the health of your gums and can prescribe healthful procedures to avoid or cure gum disease. Bad habits can have a negative impact on your oral health. Smoking, poor diet, biting nails and clenching teeth are among the more common. Frequent visits to Crabtree Dental can help you track any potential harm you may be causing with bad habits. Your dentist can help you identify harmful habits and can prescribe procedures or treatments to help you recover. Don’t let bad habits get in the way of your oral health. It helps to have an experienced professional to help you manage habits so they don’t become destructive. Most of the reasons we have discussed so far involve oral inspection. However, has the ability to look deeper with x-rays. Frequent visits to Crabtree Dental can help you see below the surface and catch problems before they arrive. The professionals at Crabtree Dental are concerned about more than just your teeth. We care about your overall health. Dentists are trained in the anatomy around your mouth and that includes your neck, throat, lymph nodes and head. Dentists know a lot about these areas and look for signs of trouble. A regular visit to your dentist can help you avoid health issues that can affect your overall health. Visiting Crabtree Dental in Katy TX every six months can help you maintain a healthy mouth and a positive outlook on life. Our services include general and family dentistry. Hope to see you soon!